We very much admired the activity company, Outfitters Kauai, that Rick and Julie Haviland had built over the past 25 years, and were delighted when they called us to assist with their rebranding efforts. 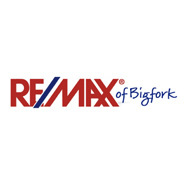 So far, we have assisted them with a new brand position statement, logomark and print ads. 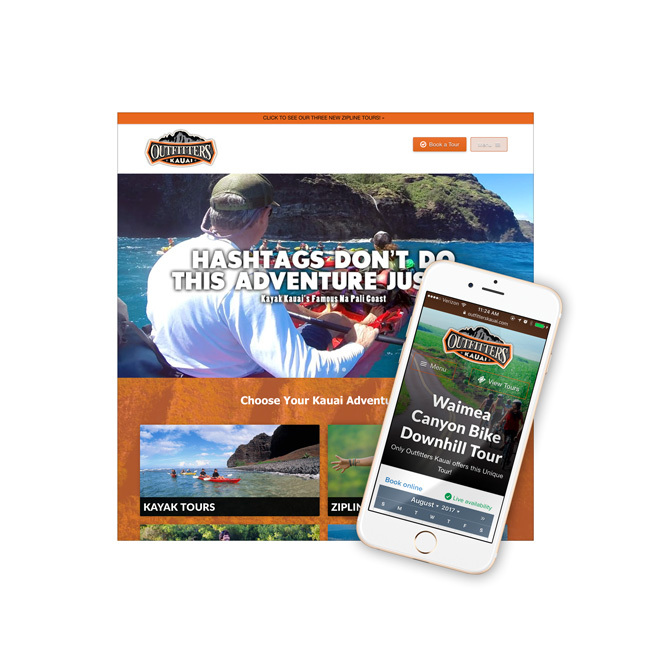 We worked with the owners and management team of Outfitters Kauai on a new brand position, and once that was completed, this new logomark emerged from the findings of that collaboration. 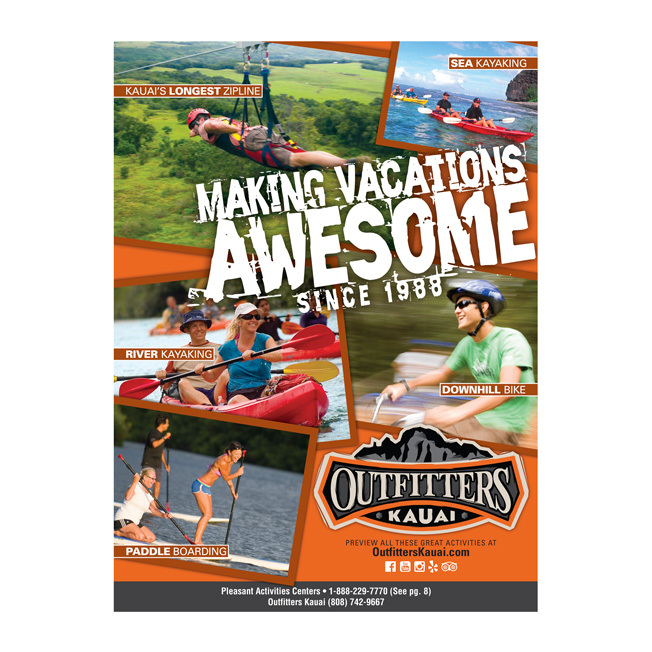 Outfitters Kauai needed a brand refresh, so we worked with them to update their ads and their image. This ad was featured in an Activity publication that showcased the various activities that they offered. 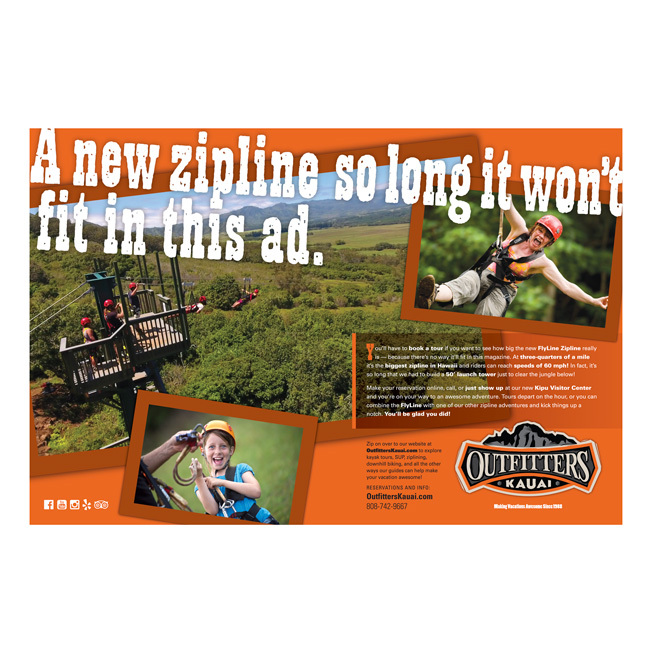 The newest Kauai zipline at Outfitters Kauai is so big that it literally won’t fit in this two page ad! Outfitters Kauai uses Fare Harbor to manage reservations and tours and part of that system includes a website template provided by Fare Harbor. 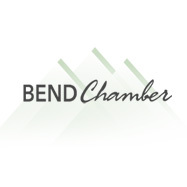 Since it’s a WordPress theme, the position and structure of the elements is set in stone — our job was to enhance the messaging, fine tune the content, and bring the off-the-shelf design in line with the new brand.